We understand your property is an investment you wish to be proud of. 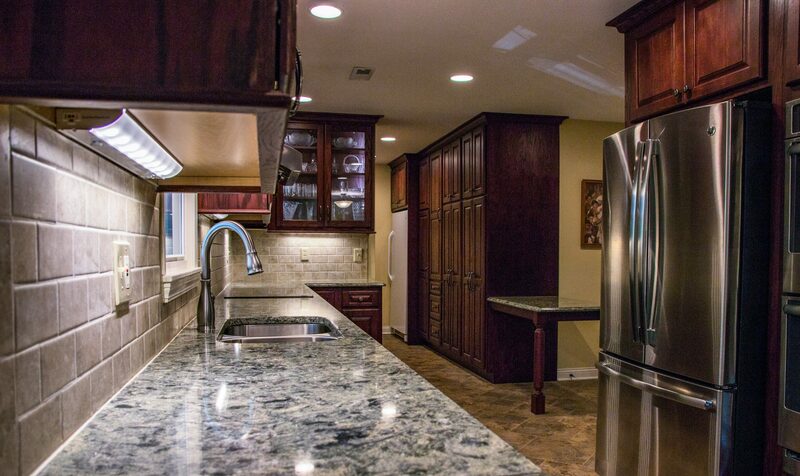 At J&C Construction, we work with you to create your dream home through our beautifully executed remodels. We work closely with each client to understand their vision for the updated space so we can deliver a high quality result, every time. Our team will meet with you for an hour or so to take careful measurements of your existing space and discuss what you would like to see changed. Often, we enjoy working with clients’ visions using visual examples with Pinterest, magazines, etc. Once we have worked together to determine the specifics of the project, we will compose a detailed estimate of the project, separated in sections, then fine tune the estimate and set a tentative project start date. The reason we say tentative is because, for us, it is important to finish the project we are on before starting another. This is our practice of good customer service, we strive to please our clients! This goes for your project too, we will not leave your home unfinished to start another project on time. Once we have a project start date and have determined the look and style you are wishing to see integrated in your remodel, we begin to define the scope of work, change the layout, determine appliance location and remove walls if necessary. After doing the grit work and major layout changes, we work on installation of new tile or wood flooring and trim work. The customer has complete creative control with J&C’s professional guidance. You pick out appliances, flooring material, countertops, etc and we will help organize and complete the material needs. We have close relationships with our vendors, and know what to expect from them in regard to efficiently delivering materials, carefully transporting materials and communicating order and deposit dates for special order materials. The timeline for your project can differ depending on the scope of work being done. A straightforward removal and installation of cabinets, counter tops, and appliances could be completed in one week. Most complete kitchen remodels with flooring, back splash, new trim work, paint and sheet rock repairs will take 3-5 weeks. During the remodeling process, customers need to be prepare for the inconvenience of not having that space, whether it be a kitchen or bathroom remodel. Customers should have a separate eating and preparation space during their kitchen model and a second bathroom during the bathroom remodel. It can be invasive having workers in your house everyday. We suggest the least stressful way to go about this process is to stay somewhere else. This is not the most convenient situation – WE KNOW! We work diligently to complete the project efficiently without sacrificing quality. We guarantee your patience will be worth it when you come back to see your beautiful, newly remodeled home!